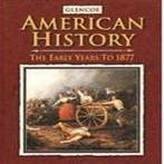 Students will know how to acquire and compile meaningful research in order to understand and creatively teach the Mexican American War including the annexation of the Republic of Texas and the Bear Flag Revolt and ​ the impact of the Mexican War on the land and people of the American Southwest. ​1. What caused the Mexican American War? a. What role did the annexation of Texas play in the outbreak of conflict? ​b. What role did the Bear Flag Revolt play in the outbreak of conflict? c. What role did slavery play in the outbreak of Conflict? d What role did Westward Migration play in the outbreak of Conflict? 2. Who was John Slidell and what was his mission to Mexico? a.What caused Mexico to cut off diplomatic relations with the United States in 1846? b.What was the result of Mexico cutting off diplomatic relation with the United States in 1846? c. Who was involved in the Mexican American War? 3. .Who were the key individuals involved in the Mexican- American War and what was their contribution, and fate? 4. What occurred on the Rio Grande that lead to the outbreak of war? Part II Mexican American War: The War in the "North"
5. What was the Bear Flag Revolt? a. Where did it occur? d. What was the outcome? a. Why was the Mormon Battalion called? c. What were the consequences of the Mormon Battalion? 7. How did the Mexican American War impact Mexican and Americans living in the West? a. What occurred in Santa Fe NM? Who was involved? What were the consequences? b. Why did the battles occur? c. Where were they and what occurred? d What was the impact (consequences) of each battle? 9. What was the Mexican Cession? a. What were the terms? b. What were the territories involved? 10. What were the terms of the Treaty of Guadalupe? a. What did each side gain and who benefited the most from this treaty? 11. What was the Gadsden Purchase? What territories were involved? The "Willowcreek Library Texts and Tools" button above will link you to the Alexandria Library. Within the Alexandria library any books with the call number starting with "REF" or a number are informational texts, conversely any call number starting with "FIC", "PB", or "SC" are fictional texts. To access books tagged for the Native Americans, go to the search page, type in "ness tex rev" and/ or "ness west" hit search. on the top right hand corner click on the "find more" box. To assist in your search, go to the top drop down menu "unsorted" and sort by "Call Number", this will categorize the fiction and informational texts,posting the informational texts (excluding reference texts) on the top; in addition it will indicate the order of the texts on the stacks. Identify the call number to find the text on the stacks. In which John Green teaches you about the Mexican-American War in the late 1840s, and the expansion of the United States into the western end of North America. In this episode of Crash Course, US territory finally reaches from the Atlantic coast to the Pacific Ocean. After Oregon was secured from the UK and the southwest was ceded by Mexico, that is. 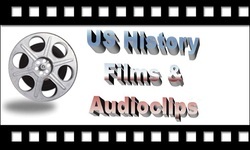 Famous Americans abound in this episode, including James K Polk (Young Hickory, Napoleon of the Stump), Martin Van Buren, Zachary Taylor, and Winfield Scott. You'll also learn about the California Gold Rush of 1848, and California's admission as a state, which necessitated the Compromise of 1850. Once more slavery is a crucial issue. Something is going to have to be done about slavery, I think. Maybe it will come to a head next week. One of the most controversial conflicts in U.S. history, the Mexican-American War erupted as President James K. Polk sought to extend the borders of the nation to the Pacific, taking by force whatever territory stood in the way. This History Channel special, hosted by Oscar de la Hoya, looks at the war from the perspective of both countries, and chronicles the fighting from its inception to its conclusion with the Treaty of Guadalupe Hidalgo.